The thing I've discovered about having treatment is we're always having to make drinks for the people who come round to see if we're OK. Which would be fine if everyone wanted a glass of water but guests keep wanting coffee. I have no qualms with sending Jim to make drinks for people (it's his job because, you know, cancer and all that. On a side note - how long can I use that excuse with him?) But as we've been living with a slightly broken, really slow and fiddly coffee machine for the last, well, forever, it seems a bit mean to keep shipping him off to the kitchen! Especially as everyone we have round seems to take their coffee a different way. But we might have a solution. 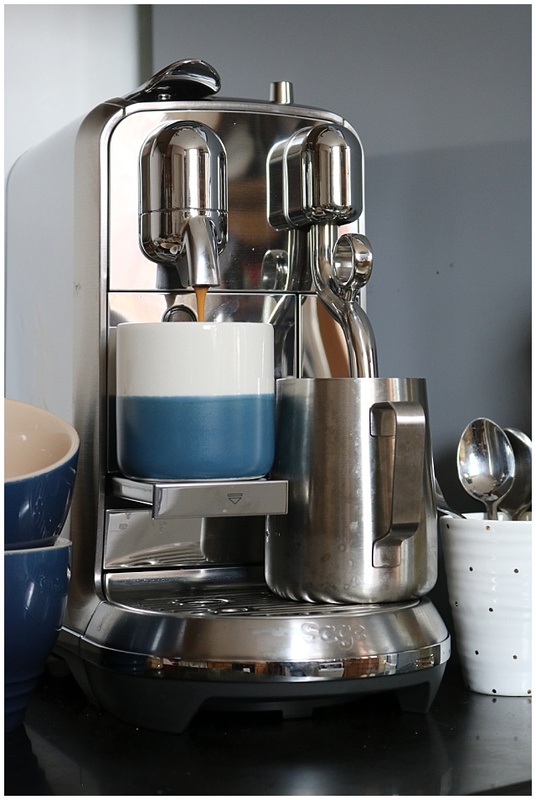 This week a Nespresso Creatista arrived in our kitchen and it's already changing the way we entertain guests! 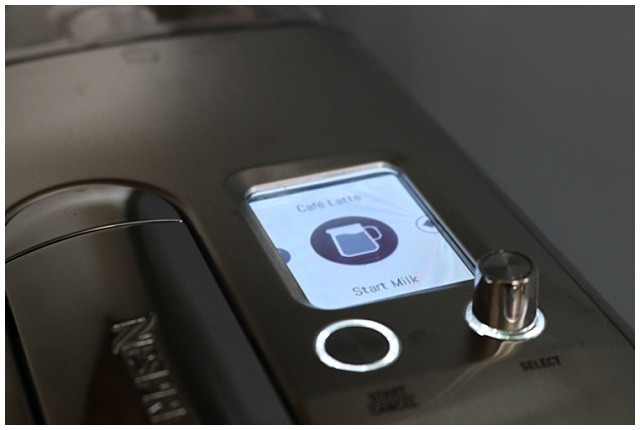 It's the first pod coffee machine we've had but I have to say it's really impressing us so far. 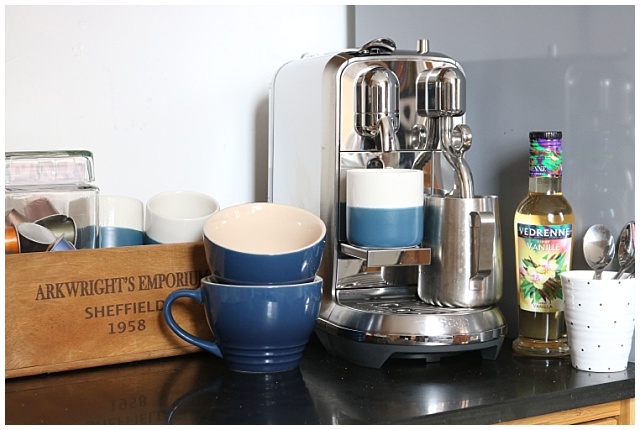 I've even gone as far as to set up a coffee station in the kitchen so if needs be guests can just help themselves. It heats up in a fraction of the time of our old machine, there are eight different coffee settings on the Creatista, including flat white which is Jim's drink of choice, 4 different levels of milk frothing, which I am loving playing with because the selling point of the Creatista is that it makes creating latte art easy. 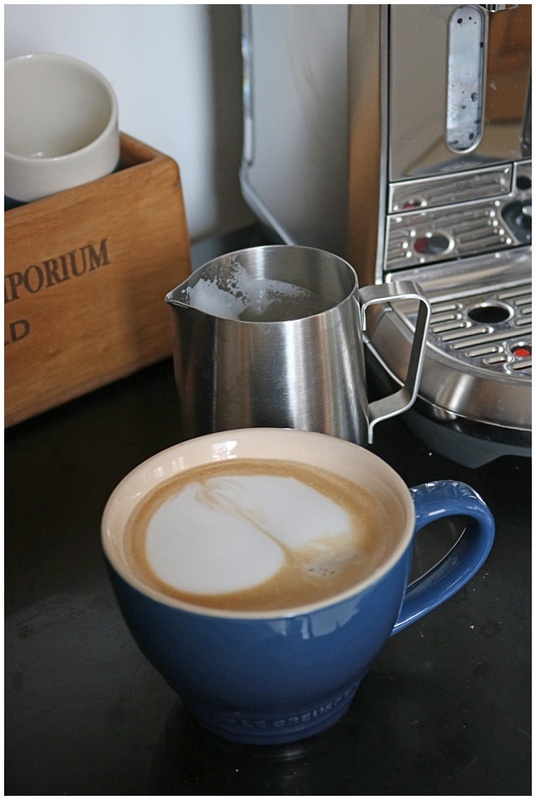 Although I am not sure that the people who created the machine and figure latte art is easy have met me. 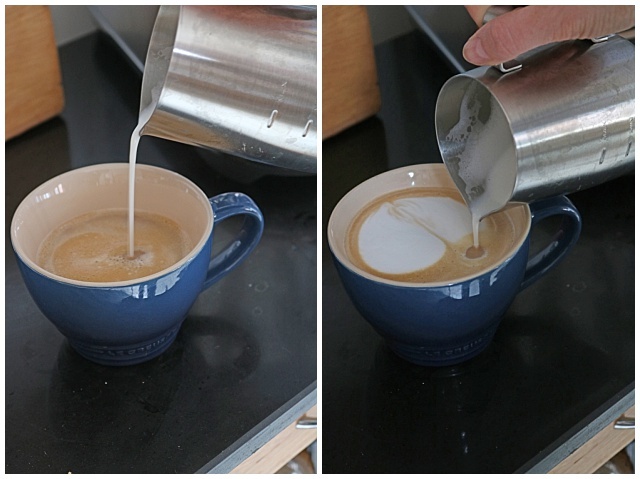 No matter which of the milk frothing settings I choose, I just can't make the patterns appear. Jim thought my first attempt looked really rude, and well, this latest one looks less like the heart that I intended it to be, and more like a bum! Although it's clearly due to lack of skill as my friend Zoe came round to see me and she managed to create some really pretty patterns! But I blame that on her barista training. I mean she has an unfair advantage right? But you tell me - bum or heart? Luckily for the people being subjected to my latte art attempts I'm off to the Creatista Studio in Leeds next week for some pointers in how to make the perfect patterns in the top of the drinks I'm serving them. I'll be beating Zoe at her own game in no time! The pop up will be in the Victoria Quarter until the 19th so if you're in Leeds drop in and see the Creatista team and see what art you can create!